Why knowledge alone is not enough? When after a big failure people wonder why it did not work out, they rarely come to any revelatory conclusions. In most cases, these are just several trivial statements such as: “I should have estimated the investment costs more precisely when starting a business”, or “I should have done a better market research”, or “had I wanted to invest in a relationship, I should have spent more time with my partner” or “I shouldn’t have cheated on them when away on holidays”. When we listen to this, we can hardly bite our tongue and not throw a sharp comment, but let’s not be rash in our judgements. In fact, all people I’ve met so far seem to make such obvious ‘discoveries’ now and then. On several occasions, I’ve had the chance to work with alcoholics, who would on impulse decide to quit (or actually start to quit) drinking. When I asked why, after many months or years of drinking, they came to me at this particular moment, they often said something like “I’ve understood that alcohol is not good for me”. They also admitted how much coming to understand with that was difficult for them, even though kids learn about that at school, and probably everyone in their early years must have seen somewhere (if even in films) how hard it is to break free from an addiction. However, our brains don’t work as simply as some might think. Just as hearing some information is not enough to remember it (chemical formulas at school), knowing something intellectually doesn’t mean that one can really understand it, feel it and apply in his or her life. The great cult of intellect prevailing at school, where most of the information we get expands only factual knowledge, and the idea of implementing the gained knowledge to everyday life is rather neglected, certainly doesn’t make that any better. In fact, our driving license course might have been the only part of our formal education, which included something more than just theory and offered methods for putting theory into practice and learning by doing. Nowadays, both films and Internet can be great sources of knowledge, however, if we don’t find a story shocking enough, we tend to go about it emotionlessly, which reduces the chance for the information to be memorized and applied in life. We seem to be, theoretically, well acquainted with most of life situations that occur in our relationships or business engagements, and we don’t get overexcited about it, but when it comes down to it, we act like if our whole knowledge evaporated completely. We all have heard the slogan that it’s good to take care of our health. But how many people really demonstrate that they care? And for how many is it just an empty platitude (unless you are an exception, then tell me what you do every day to stay healthy). Have you ever disregarded something that you knew that, logically speaking, was worth doing? Or go for something you knew from the very beginning that would end badly? 4) the new skill application ability in a non-typical context. Unfortunately, many personal development centres, mocking the traditional school education that mainly forced memorizing definitions, have themselves done some harm in this field. Through interesting storytelling, attendees could not only remember various information but were also able to actually understand the underlying psychological mechanisms. However, to their disappointment and that of their relatives’, in many cases very little would change in the participant’s behaviour, apart from intellectual comprehension. Repeating the words of personal development gurus cannot compare with real life experience or at least attempts to introduce certain techniques by trial and error. Even the spiritual development entrants, repeating picked up lines about living in the present, compassion and acceptance, have proven to be powerless in the face of many mundane problems like financial pressure or a child’s dirty diaper. On the one thing, they might have had teachers with a tendency to overintellectualize. On the other, however, this is the very nature of the mind. Reading books about marketing and learning dozens of ways of winning new clients very often have nothing to do with trying them out yourself and gaining experience. I remember I have fallen into this trap myself at the beginning of my adventure with personal development. I would read books about business and have the impression that everything in them was so obvious that I even wondered why would anyone write them in the first place (many people have had similar experiences). However, I haven’t put in practice all of the suggestions. Only when I began to apply to my business, step by step, the solutions from the literature I read, starting from the very simplest ones, my business started to grow. This goes also for learning communication skills. Most people, when learning the Nonviolent Communication philosophy, are not particularly excited about the theories that being aware of your own needs and communicating them to your partner, with respect to his or her needs, is very important. They are under the impression that these is absolutely basic stuff which everyone should know and they take it for granted… until they see for themselves how they fail to apply it in conflict situations, and experience how much practicing these basic rules would help to resolve them. Most of the therapeutic problems I have worked on with my clients boil down to this. People follow logic and reason and claim to have a healthy belief, but they act as if some large part of their being didn’t update this belief and emotionally believed in something else. In other words, that on the conscious level, someone believes in one thing, whereas their unconscious believes in something else. Many traumatized people are well aware of the fact that their fear of getting outside is not entirely rational, and the risk that something bad will happen to them on their way to the groceries is extremely low. On the physical and emotional level, however, they seem to have a very strong opposite belief, which was encoded in the emotional parts of the brain. That’s why, working with trauma cannot be based on reasoning. Another typical example is the belief that we don’t deserve something, usually drawn from our early childhood, which can spread in a totally irrational way onto many other things, and yet this belief is so strong that we can self-sabotage actions that would normally lead us to success. Or the feeling after a painful breakup that we will never be happy again, even if we know that we used to have similar thoughts after previous breakups. Or, on a completely different note, an instinctive fear of death before a bungee jump, although the risk of an actual accident is minimal. First and foremost, we need to know that there are many parts of our minds that may have conflicting beliefs. Psychology has turned away from the belief that we think in a coherent way all the time. The most important parts of our being, responsible for inner conflicts, are assumed to be placed in the new cortex (newer, logical parts of the brain), the limbic system and the amygdala (the older, more emotional parts). Additionally, a very interesting model distinguishes three types of beliefs. The first and most typical consists of beliefs which we believe in without any doubt, e.g. that when we burn ourselves with boiling water we will feel excruciating pain. We all have many of such beliefs and we find it easy to act in line with them. The beliefs of the second type are those in which we would like to believe but we don’t, e.g. that we will get to earn a lot of money, that we have the right to express our feelings, that we are self-confident, that we can trust our partner. We can consider the very fact that we are willing to believe in these things as actual believing in them. However, deep down we still feel that these beliefs are not entirely true. Most often, it is caused by difficult emotions we have experienced in regard to these beliefs. The beliefs of the third type are those which stem from our other beliefs so it seems logical to us to believe in them, too, e.g. we honestly believe that we are smart and that smart people take care of their health. We think that our belief is that we should take care of our health, while we don’t get enough sleep, instead we drink loads of coffee, get tanked up twice a week, and eat breakfast at McDonald’s. The same goes for cigarettes which, as we all know, harm human body. Most people will also agree with the view that their body works like the body of other people. From this it should be clear to the people who smoke that cigarettes also do them harm, right? However, the human mind doesn’t work like a computer, whose actions are based only on logical conclusions. Some of the phenomena I have mentioned above come from the fact that even if on a logical and emotional level you know what to do, caught up in the fervor of many tasks, you forget about it because you don’t have properly embedded good habits. It’s very common, having finally learned new skills (e.g. to take good care of your home or health), to be able to apply them well in the long term, however, when overloaded with other tasks, to completely forget about them, and act in the old fashion. Then, the best solution would be to learn by doing, keep returning to the new habit and gain experience. WHAT FOLLOWS FROM ALL OF THE ABOVE? Many phenomena will be very difficult to understand if you have not experienced them and not found a way to relate them to your feelings. Relying in your decisions on logic alone, not having experienced a given situation ourselves, we can disregard or overestimate certain processes.The knowledge that it is very hot in Mexico in the summer is something else than finding it to your cost and gaining absolute certainty that you should definitely not set off for a long walk in the hottest hour of the day without taking any water with you. 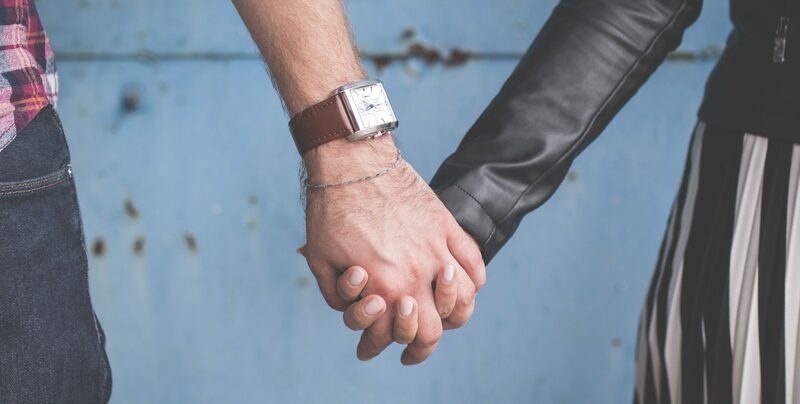 Assuming that our partner is imperfect and expecting that we will probably, sooner or later, find out about it the hard way does not come up to having lived together as a married couple for years. From this perspective, a lot of our everyday mistakes result from the fact that, instead of actually learning from experience, we only know that we should experience this or that. Because we learn emotionally (in proportion to the intensity of our feelings), we need to work on emotions. If we want to take up various types of activities, work on some problems or change beliefs, it won’t be of much help just to keep on telling ourselves what is true. You need to contact with those parts of yourself that emotionally hold on to dysfunctional beliefs, hence the high effectiveness of such methods as inner child work and various types of role-playing and working with identities or mental prototypes, e.g. directly on the subconscious associations. Additionally, it’s good to get in touch with the parts that strongly believe in something emotionally, and combine it with areas where such beliefs have not developed, just like many coaching exercises suggest. That is why, many people have a gut feeling that intellectual comprehension alone is not going to solve the problem. That is also why, therapists have (conscious and unconscious) methods to enhance this comprehension to get through to the emotional parts. Only when we keep that in mind can the deepest work on one’s own psyche begin. It is worth remembering that many flashes of insight and bedazzlement can mean a lot for us, or be some sort of a milestone in our lives, even when, from logical perspective, they are no breakthrough discovery. For example, when someone concludes the attended workshop with a realization that it is good to accept oneself or feel grateful to one’s parents, it may only sound like a platitude but, in fact, can be a sign of a deep transition. A book about the cruelty of war, which will shake you to the bone, will indisputably be valuable to read, although the conclusions you draw from it may come down to such cliches as “war is cruel” or “it’s a harrowing experience to lose your family in a war”. Contrariwise, a lecture attendee who echos the motivational speaker’s words of wisdom about getting out of difficult situations may not be able to reach to these resources when a real problem comes up. The knowledge you gained from psychological books that we tend to idealize other people and that your beloved will probably reveal a lot of flaws when you get to know each other doesn’t mean that you really take into account that things may not pan out as expected when you get a mortgage and move in together. Quoting Buddhist books on acceptance can have very little effect on your ability to feel good in a jammed street, and being aware of the important role of feedback doesn’t always lead to the actual implementation of changes suggested by customers. Therefore, the value of what we learn is not reflected by how smart and innovative it sounds when we talk about it, but by how much we are able to apply the knowledge in real life situations. This conclusion is based on observations of numerous cases when someone who has been acting recklessly for years shows a major turnaround and sums it up with some truism. So, it is no use fetishing about the useless knowledge and endless expanding it unless you are able to implement the most basic things from what you have picked up (just like keeping hundreds of e-books on your computer just because that was “in” at the time). If you are devouring another book about self-care, while having been putting off your massage appointment for months, or one about new business development, while being too lazy to do a simple financial balance spreadsheet, you are basically just wasting your time. That is why, whenever I learn about something important, I immediately look for ways to put it into practice. Applying this knowledge, gives me opportunity to ask myself what part I have really understood. I am very often bewildered by how much I haven’t (unless you are a perfectly mature person, you most probably have similar experiences, maybe even while reading this text you could notice how many things you didn’t understand). I remember I have once been pricked by a cactus in the American desert (of course, I had read about cactuses before and I was aware what they can do but somehow it was really hard to grasp). Before I even started to panic about it, the local friend calmed me down and said that there is no need to worry because this particular species is exceptionally safe. She also pulled the spikes from my pants leg. After a while I realized that because I had no time to feel either fear or pain, this situation didn’t teach me anything, and I still didn’t really grasp the idea that I was surrounded by quite dangerous cacti. So I paused, knowing that otherwise I would have to eventually learn it the hard way by experiencing terrible pain. And then I began to explain it to myself on a more emotional level (I used, among others, the technique of visualizing consequences and negotiating with personality parts) that I have to be careful now. That is why, it is worth learning (preferably using several examples from both categories), how to distinguish one from the other. On important issues, try to see if you have only that mental, non-embodied awareness (one of the frequently suggested tips for a deeper understanding is to feel what you know in your body). How different for you is the country you have just read about and the one you have also visited? Using such or a different example, you can spot your perception pattern in terms of things that are logically comprehensible and the ones that you have explored empirically. The fact that we are intellectually aware of something only makes us complacent that we will know how to react in a potentially difficult situation (alternatively, creates a strong internal conflict: “I know how but I can’t do it”). Many years ago, I observed a Facebook dispute between two coaches on whether a certain training material is valuable. One of them defended it, argumenting that it helped him to realize that at some stage of your business you have to hire employees because you no longer can run the whole thing by yourself. The other guy laughed at him, calling it a truism. Many years later, it turned out that the former is a boss and has many people under him, while nobody even heard about the latter. So when you catch yourself knowing something that you don’t understand fully on emotional level, you might find this question very helpful: what do you need in order to understand it? Sometimes the answers will come to you just like that. Keep in mind, however, that when it comes to the things that are not in line with your main personality traits, you may need to undergo a deeper therapeutic process. For the same reason, it is good to draw conclusions and take lessons from your life experiences. The emotions connected with them make it easier to regard your conclusions as important. Pausing and reflecting will also help you cast aside false or inaccurate, automatically drawn conclusions (which the emotional part of your brain considers true). I hope that this article helped you understand the differences between intellectual and emotional understanding. If so, now it’s your turn. How can you understand it emotionally and apply it to your life?